Patagonia is a brand that claims to filter all of its creative decisions through the the philosophy that they're "building the best product, causing the least harm" with all of their products. They recently announced that they're moving away from using synthetic dyes, experimenting with their "Clean Color Collection," which offers 13 different T-shirts, sweatshirts, tank tops, polos, pants, and shorts dyed with natural ingredients like mulberry leaves and pomegranate rinds. 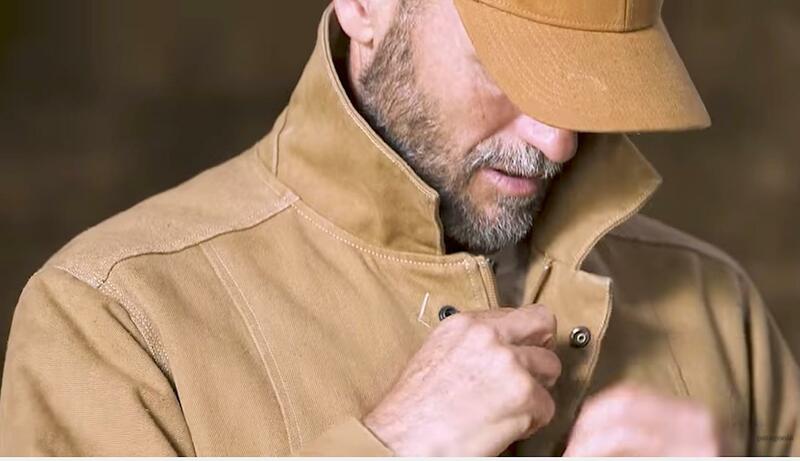 Their new Workwear line is being made with Forge Hemp Canvas, a blend they designed that Treehugger reports is made up of "12.9 oz blend of 55% hemp (pesticide-free), 27% recycled polyester, and 18% organically grown cotton." In the interview below, Senior Manager of Material Innovation and Development, Sarah Hayes, says that the company loves the versatility of hemp, as it grows with little or no irrigation, requires no fertilizer or pesticide, can thrive in many different regions, and sometimes improves soil health where it is planted. "Our Workwear line is built to meet the needs of the men and women who are putting real environmental solutions in place on the ground, redefining what progress really means. The company’s early roots in iron forging, our ongoing commitment to conservation and our forward-looking investments in organic regenerative agriculture have us well-placed to build the best product for the folks who require true workwear, backed up by our Ironclad Guarantee." This is very strong stuff if you have that kind of heavy-lifting to do. According to their website, this type of fabric is most often used to make sails for boats, cordage and heavy-duty tackle. It won't wear out quickly, and has a softer feel with a tighter weave, making it "25% more abrasion resistant than conventional cotton duck canvas." In terms of retail price, they're averaging about $80 for a pair of pants and $90 for a shirt. If you'd like to try out the Workwear line before making a purchase, a store dedicated to it is opening in Seattle, in their historic Ballard district. Make it into a fun vacation before settling in to some hard gritty work in a pair of Patagonia pants.